Can hearts so overflow with a healing love that it just has to be shared? 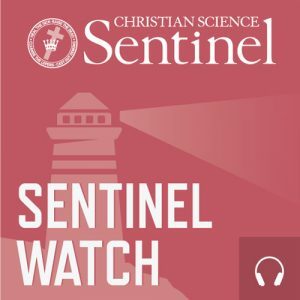 Hear our guests share how the good they’ve received through practicing Christian Science has been such a blessing in their lives, and how they love to follow the example of Christ Jesus, who said, "Freely ye have received, freely give." Tune in and discover how you too can share healing love from your heart. We look at six verses in the Bible that have been such a great source of comfort to so many—the twenty-third Psalm. Hear how the ideas in this psalm have inspired, helped, and healed our guest, and how he has seen its promise fulfilled that “goodness and mercy shall follow all the days of .” Who wouldn’t want goodness and mercy as constant companions throughout our lives? Discover how this divine love and care is yours too. Our guest will answer questions on overcoming burnout and living a balanced life that you have sent in via JSH-Online.com. You can hear how understanding our spiritual identity as God’s loved child can help us get beyond just coping with the pace of our life to finding a spiritual basis for a balanced life full of energy and joy.